Οδηγός χιονοδρομικού για Sunshine Village, χάρτης περιοχής και διαμονή για Sunshine Village. 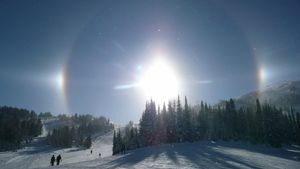 Χιονίζει σε Sunshine Village ;Ευχαριστούμε! 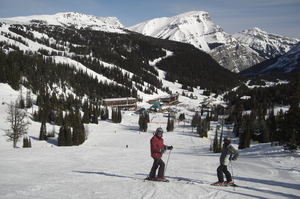 Sunshine Village sits in the middle of Banff National Park and offers an excellent opportunity to ski above the tree line and see the magnificent back-country of B.C. and Alberta. 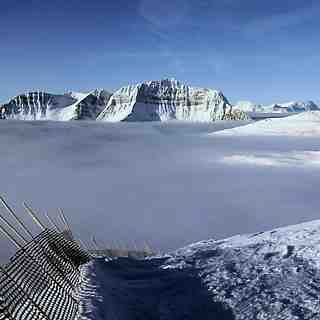 In a single run, you can cross the continental divide, skiing from Alberta to B.C and back again. 100% natural cover is pretty much a certainty as Sunshine Village has an elevation and proximity to the divide that usually results in more snow here than at any other Alberta resort and, more often than not, it is the champagne powder variety! Sunshine Village boasts fantastic lift-accessed steeps and they have recently opened new free-ride zones on Goat's Eye Mountain and off the backside of Lookout Mountain, with terrain to test even the pros. We’re grateful for a strong start to the 2018/19 ski season, one that has spoiled us with deep early season powder days and sunny days to take in the beauty of the Canadian Rockies. Getting to Banff is easy! If you're coming by air, fly into the Calgary International Airport (YYC). From the airport you can drive or hop on an airport shuttle to Banff. The town of Banff is about an hour and 30 minutes from the Calgary International Airport. I live and ski in the Bow valley. 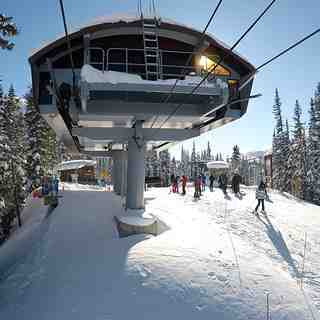 This resort is fun and the closest to Canmore/Banff that has good skiing. Is it the gnarliest? No. Go eat at Chimney corner in the hotel. Their food is good. This resort has what you need if you want it. 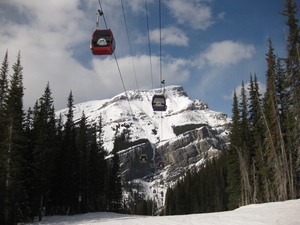 If you are in the Bow Valley from out of town and skiing at peak season or weekend, take a shuttle as Parks Canada has handcuffed the resort with regulations that restrict their parking. It does have better snow than Louise. It does not have as much lift accessed advanced terrain as Louise. 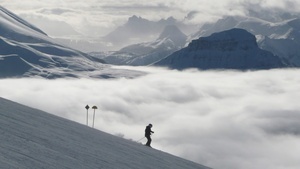 If you are actually an extreme skier and want deep snow-sure head over to KH &RMR. Go for It. Those resorts have their problems too. 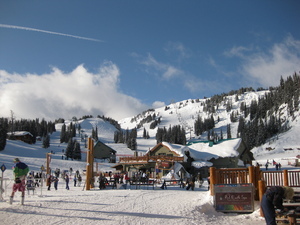 If you want a fun, pleasant resort with relatively consistent good & not icy natural snow, this place is great. People crapping on this resort lack respect. I can out ski every one of you and you can pound salt. Both Louise and Sunshine have their benefits. Don’t skip this resort because some idiot from the city can’t have a good time.